Online Schooling for High School gives you the opportunity to earn a high school diploma online and at the conventience of your schedule. This website has been developed as a resource for students who need to attend school online. Online schooling for high school is a novel new way to accomplish that first-stepping stone into adulthood: graduating high school. Marlene Chism, best-selling author of Success Is a Given, notes that "finishing high school is something you will not regret." Kris Kooner, writer, simply states, "the number of benefits associated with a high school diploma is ... unimaginable." But not all students thrive in traditional lecture-based classrooms. Some are gifted, some struggle, some are independent, and others cannot learn in that environment – thus, there is online schooling for high school. 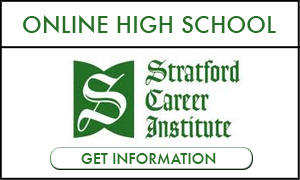 Click on one of the high schools listed below to learn more and apply online. It is not just a piece of paper; a high school diploma or GED equivalent is a ticket to a successful professional, and by extension, personal life. Unfortunately, according to testimony before the House Committee on Education and Labor, only 70% of high school students actually graduated in 2009. Without a high school diploma, most college hopefuls are adamantly refused. Sabrina Kidwai, Media Relations Manager for the Association for Career and Technical Education, believes a collegiate education is becoming a necessity. "It's very important students finish high school and continue to earn a post-secondary degree because 24 of the 30 fastest-growing occupations are among those for which the most significant source of post-secondary education and training is an ... academic degree." But what is the real impact? What does this qualitative information mean in real-life terms? A 2008 Pennsylvania Partnerships for Children study noted that dropouts are twice as likely to live under the poverty line as those with a diploma. The National Education Association concurs and adds, "High school dropouts earn $260,000 less over a lifetime than high school graduates and are 72% more likely to be unemployed." What Is Online Schooling for High School? Spurred by the homeschooling movement originating from the research of John Holt and Raymond and Dorothy Moore, online schooling for high school (distance learning, home-study education) is a 21st-century alternative to a traditional classroom school setting. Online high schools live out on the limb. They often focus on a particular group of students, such as the extremely intelligent or the physically disabled. Courses are taught online, either through text/phone/video chat forums or pre-recorded lessons, with accompanying homework and tests. Some online schools completely restrict their coursework and curriculum to Internet resources, while others utilize other software, textbooks, actual field-trips, and other activities. There are three types of online high schools. The first online public schools are publicly funded and generally used for special cases. Charter schools are publicly-funded but under the partial jurisdiction of a private party, and usually have a distinct educational philosophy. Online private schools are almost completely removed from governmental assistance and control, and may teach what they please. Why would someone abandon the time-tested comfort of a classroom for the unexplored novelty of the Internet? Opinions and verbal assaults are often raised on this question. On its most basic level, however, online schooling for high school is generally chosen to achieve a greater level of educational and personal independence. Students can work at their own pace, which suits the faster learning students as much as it does the dyslexic reader. Many online high schools have a weekly deadline, which gives students a full seven days to complete a lesson. This not only allows students to learn when their mind is focused, but it also allows students to participate in extracurricular activities otherwise not available. Online high schools may teach courses not available at local high schools. With the gamut of online resources, students can easily use online classes to complement their academic repertoire or supplement their weaknesses. Some students travel or focus on careers. For these ambitious types of students, classrooms are simply not an option. The geographical and time flexibility of online schooling for high school is just what they need. It is not enough that there have been advances in the field of education and more options for both students and parents. Parents want more say in their child's education, but with the gamut of state regulations, it is tough trying to get their own agendas pushed forward. However, the parents may not be able to accept the complete responsibility of their child's education. Online schooling for high school is a welcome fusion between homeschooling independence and classroom academic rigor. Then there are those students who may not seem to fit in or feel comfortable in the traditional classroom. For the idiosyncratic, online schooling for high school gives them an avenue to express their unique personalities with similar peers. Be careful of institutions that are not nationally accredited. Accreditation is not optional; it is indispensable. The school should be properly accredited by the proper regional board to ensure credit transfers. Some online schools may present a façade that appears to be legitimate but are really out for their own agenda. It is a good idea to do your background research. Online schooling for high school is not always inexpensive, so budget before signing any contracts. While public high schools and charter schools are generally tuition-free, they may have extra costs, such as required software or textbooks. Private schools do require tuition and may have a longer list of extra expenses. Does the school have any extracurricular activities, such as sports, field trips, or dances? Much of life takes place outside of the classroom, and several online high schools offer real-life activities for their students. Check graduation requirements. A quality online high school should have class requirements resembling regular high schools, such as 2-3 math courses, 3 science, 4 English, 2 foreign language, 3 social sciences, 1 Physical Education, and 1 Fine Arts. Requirements do vary from state to state, however, and modifications from LEAs (Local Education Agencies) may alter requirements even more. Also, see if the students are required to pass a government, higher grade skills test prior to graduation. Moving ahead in your professional career requires education. The starting block to moving ahead in school is a high school diploma. 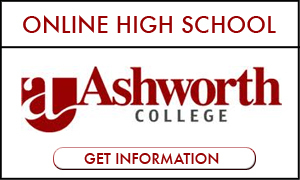 Let us help you complete high school and get what you need. Going to school online requires time and dedication, but many schools can create customized programs that fit with work and person life schedules. You can only gain by contacting a school today. It is FREE, FAST and the right thing to do for your education and career.